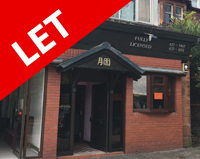 The property comprises a modern single fronted shop unit over ground and basement floors within a substantial 6 storey red sandstone city centre building. 1,105 sq ft (103 sq m). The premises comprise a ground floor shop/office unit within a four storey blonde sandstone tenement. Internally, the premises are arranged to provide a good sized front office/sales area, together with offices, stores, kitchen and wc to the rear. 124.14 sq m (1,336 sq ft). The subjects comprise a single storey brick built property under a pitched and tiled roof. The roof space has been converted using dormer extensions. Ground Floor 384 sq ft 35.74 sq m), Attic 372 sq ft (34.61 sq m). 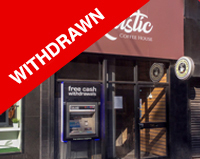 The premises benefit from a modern shopfront set behind electric security roller shutters. The upper floor comprises offices and public library. 900 sq ft (83.64 sq m). The premises comprise a compact well presented ground floor shop unit within a four storey sandstone tenement. 34.58 sq m (372 sq ft). The subjects comprise a ground floor restaurant in a traditional 4 storey sandstone building with residential above. The premises benefit from a modern frontage. 699 sq ft (65 sq m). The subjects comprise a ground floor retail unit in a traditional 4 storey sandstone building with residential above. 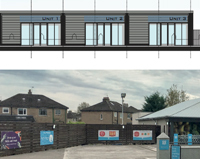 The premises comprise a substantial retail unit offering excellent frontage, and was most recently used as a Licensed Convenience store. 1,313 sq ft (122 sq m). Double frontage shop unit located on the ground floor of 4 storey red sandstone tenement. Licensed Restaurant and Bar. The subjects comprise ground and basement accommodation within a four storey blonde sandstone tenement. The ground floor historically traded as a restaurant and benefits from excellent floor to ceiling full height glazed frontage. 3,737 sq ft (347.26 sq m). The subjects comprise retail/office premises over ground and basement floors within a 4 storey sandstone building. 955 sq ft (88.72 sq m).